There’s a very unfortunate bit of irony happening within the Autism community that is far more disappointing than ironic… we encourage Autistics to speak up and to not be afraid to say what is on their mind but then when they do, we attack them for not saying what we want to hear. This has happened quite a few times over the years but even more so in the last week as autism.about.com had a series where adults with Autism were asked to submit a piece about themselves and what they stand for. Autism itself is defined as a social and communication impairment which means that speaking out about something probably doesn’t come very easily. We encourage our children as well as all people with Autism to speak up.. especially about Autism. Only an Autistic can describe what it’s like, how it affects them. We parents can give secondary accounts, how it affects us and how we perceive it affects our children but when it comes to first hand accounts, we need Autistics to break through their shell. More so than that, we just want people to be who they are. Autistic or not, don’t be afraid to say what you have to say. Being who you are is one thing that only you can do. But many Autistics are either afraid, uncomfortable or just simply not interested in putting themselves out there. As a result, Autistics make the best Autism Advocates but because of the nature of Autism itself, it also makes them the worst advocates. In society, not just the Autism community, it’s not uncommon to see people attack others that they disagree with. On the internet, people don’t have to look you in the eye to say something hurtful. That makes it a lot easier. You don’t have to deal with their unease, their obvious fear, their expressions… you can just say the most hurtful thing you can think of and leave. This happens far too often and it’s not just limited to hot topics like religion or politics. It happens far too often in the Autism community as well and not just between parents. I’ve seen Autistics write about themselves, how proud they are of themselves. Often they write about how they advocate on the higher functioning end of the spectrum only to be attacked by parents that have children on the lower functioning end of the spectrum because they didn’t say what they wanted to hear. The parent disagrees so adamantly that they attack the Autistic person because what they say doesn’t mesh with the parent’s experiences. It happens with many other topics as well… sometimes they get attacked for the most simple things too, seemingly random things. They can just be positive and be attacked for it, or negative and attacked for it. There’s no rhyme or reason. Nothing is safe. On the surface, it appears that simply stating “I disagree with what you’re saying because” has become impossible to do, instead becoming a verbal attack of some kind on their intelligence, their logic or some other personal aspect of their being. All of this is not to say that Autistics can just say or do anything they want without judgement. Autistics still have to abide by the same code of ethics, etiquette and behaviors as the rest of us. Autistics can’t just make their own attacks on people or be rude and not expect some backlash. If we are to be fair and wish for equality in acceptance, then those that behave poorly should expect some anger in response. Not all situations are uncalled for… in some cases, an Autistic will be rude or do things that are simply unacceptable and the response from the people is not entirely unexpected. Perhaps some would call it over board but certainly not unexpected. In most cases, I am simply disappointed. I’m not sure I can put it any other way than disappointed. Many times people say things I disagree with and most often times, I don’t say anything. If it’s blatantly wrong however, I may speak up but I’m always careful to be respectful. I don’t know those people, I don’t know what drew them to their conclusions. I respectfully disagree and state what I think and why. It’s always been my experience that this is the proper way of civil discourse. What I see most of the time, however, is people calling each other idiots (or other derogatory names) and question their intelligence, or upbringing or something along those lines. Usually they state what they think and don’t even provide a reason for it… they just make their attack, their stance and that’s it. Giving people no recourse but to attack back since there’s very little to either understand or make a case against in rebuttle. It is so very hard to take something you’re passionate about and disagree with someone respectfully. It’s even more difficult to be civil with someone that so strongly contradicts your beliefs. I really want for society to be more understanding… I really want for people to be more accepting of the differences in people, especially when Autism is involved. But I think it is very clear that we’re just not ready…. as a society, we’re simply not there yet. Until we can put aside our own hatred, our own anger, we can’t expect those that don’t understand Autism to do it. We encourage Autistics to come out of their shell, to speak up despite their anxiety and fear and then, when they say something we disagree with, we immediately lash out and bully them back into their shell. We do this to our own community, we do this to our own children… and yet we expect others to be more respectful? There is something fundamentally wrong and I am so very disappointed by it. The Autistic Me has a great post about all of this, some others have discussed it on Facebook and Twitter and in response, Lisa from Autism.About.com has since taken down the 2 most recent posts that were written by adults with Autism. My advice is, when you see a post by a person with Autism, imagine that person is your child. Imagine you’ve encouraged you child for many many years to speak up and to be brave… to not worry about what people say and just share who they are with the world because who they are is beautiful. If you and everyone could do this, the responses would be vastly different. Even if you disagree, you’d respond with respect. Disagreements do not need to be charged with anger or hatred. Disagreements can be made without assumptions of the person. 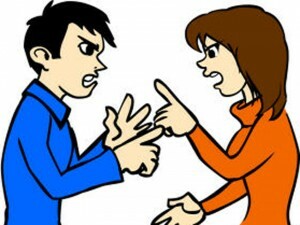 Disagreements can be made without attacking the person. If that was your child that spoke up proudly, you might still disagree but you’d disagree in a very different manner. If you are an Autism Advocate, then perhaps you should consider that all people with Autism are your children. For we speak for all, not just our own children. And we encourage all, not just our own children. Don’t be so quick to hate. Don’t be so quick to assume a person’s history or intelligence level just because you disagree with them. Speaking out is hard. Be proud… even if you disagree. Be respectful, even if you disagree. If you won’t… how can you expect others will? ← Autism blogs are not news! Hear, hear. I knew about the about.com series, but hadn’t had a chance to read about it. I’m so sorry to read about how it’s been received. Thank you for writing such a well written, rounded post that parents of ASD kids need to hear. You have lessened some hurt felt by many adult autistics just by validating that we in fact are treated wrongly. What I have found worse than the dismissal of my opinion as someone diagnosed with asperger’s but the blatant dismissal and invalidation of my experience of being disregarded and attacked. People will make you feel crazy if you demand that they treat you respectfully just like anyone else. They basically make it out like we’re imagining the disrespect or being dramatic. So, thank you for acknowledging our pain. I do think it comes down to different communication styles that I haven’t figured out how to quite pinpoint yet. I remember getting attacked in a viscous manner when I went to parenting ASD forums when my son was in the process of being diagnosed and I had not yet even considered the possibility of myself being on the spectrum. The treatment then was really no different than what I get when I say that I am autistic now, so I have to surmise that there are wires getting crossed and buttons being pushed that both sides are not aware of due to the huge gap in how typical people and autistic people communicate and express themselves. I think the lack of ToM and mindblindness that we seem to be labeled with so quickly goes both ways. BTW, we face this sort of treatment everyday. This isn’t limited to discussions with parents or the internet. Not by everyone, all the time, but more often than not. Sometimes I am ashamed of some of the parents in the autistic community. They appear to know very little if anything about autism and are unwilling to learn from them who knows best. I long since realised that it is not my role in life to tell my two autistic sons, one of whom is now an adult, how they are feeling or what their autism is like for them. I used to hate it when I read the phrase ‘suffers from autism’ until my eldest told me that he does indeed suffer from his autism. Who am I to tell him otherwise. The hostility from parents towards adult with autism is quite frightening at times. I wonder if they realise that their children will one day be adults with autism. Stuart, thanks for your kindness. I’ve spent the major of my life being worried about what other people think (subconsciously) of me and what I think. Rightly or wrongly I was taught to think that way. It’s only been in more recent years I’ve come understand that not everyone is going to like or agree with you. This may sound simplistic but if one is disadvantaged in communication one has to accept 1) being misunderstood a lot 2) people are going to make snap judgements based on what you say. Must be having a bad typo day. I agree with this post, despite having sometimes different opinions from the ones on this blog I enjoy reading because you can say what you think without insulting others or making me feel bad or ignorant because I am autistic, I can read a different, but respectful opinion here, but that is an exception. Many autistic spend their lives being silenced, abused and having people trying to fix us, some like me have PTSD, so many have a lot of anger and hurt, we also need to understand that and try to not attack easily, but it’s hard when bullying keeps happening inside the “community”, many parents write against autistics views of pride on being ourselves, there are comments about how sad living with us is for others, it’s depressing, it’s just wrong. Thank you for this post. I am Autistic and it saddens me to see my people put down and abused for speaking their minds. Or, more often, just oh-so subtly discounted. People assume things. They assume that if you can type, you can speak, that if you can express yourself online, that you must be “high functioning” (whatever the hell that means) and that, therefore, your opinion doesn’t count. I’d like to point out, that in some of the comments people are refering to the “autistic community” when I think they mean the “autism community”. The autism community is comprised of Autistic people, NT parents, teachers, service providers, doctors, etc. The Autistic community is comprised of Autistic people. And, of course, there are in reality multiple communities of both types, and they overlap. But that is just something for folks to keep in mind. When you say “Autistic Community” you are refering to a community made up primarily of Autistic people. Similarly, if someone says “I am an Autistic parent,” they are saying that they themselves are Autistic and that they are a parent as well. I’ve found that sometimes NT parents say this, thinking that they are communicating that they have an autistic child. This article makes an important point. Unfortunately, the people who need to read it will probably avoid it. I too was very disappointed by the response which led to the need to remove two posts. Really saddened me. Lets not judge, lets be us. as far as i am concerned – ASD(or ASC if you so prefer) people are the next step in human evolution and NTs ARE going to go the way of the dinosaurs. NTs accept it – it IS gonna happen weather you like it or not – it is something you CANNOT control :D.
Well written Stuart! I totally agree. I have Asperger’s (ADD, a number of learning disabilities, and quite a few sensory processing disorders) and I managed to become an attorney and hold down a good paying job until I became totally disabled. My life, however, has not been without challenges directly related to my different wiring. At any rate, a parent ripped me a new one in the comments, seeming to want to eviscerate me. Apparently ASD folk are never supposed to use their issues for humor and we’re not supposed to be proud because this is a horrendous condition that is well horrendous for everyone involved. And yeah, even though I have had testing and been diagnosed by a neuro-psychologist, the parent suggested that I self-diagnosed via an online questionnaire. It took a lot of courage for me to speak out and identify myself as having Asperger’s and to caution people not to be so hasty in their judgments. It was INCREDIBLY disheartening to get that response. Truly, what is wrong with people? Thank you for this post. I think that many NTs simply do not appreciate how very hard it is to speak for me. I make mistakes butI try to be very respectful. Still I make mistakes. All I ask is that they give me the benefit of the doubt. My words about ASD are meant to help. Well done, Stuart. Like you, I’m all for passionate disagreement, so long as people treat one another with civility. It seems to me that part of being an adult is being able to take responsibility for one’s feelings and treat others with respect. I think that part of the problem with the posts on About.com is that the blog owner will not delete personal attacks. When they happen, she either freezes comment threads or deletes all the comments altogether. Of course, she is free to run her blog as she sees fit, but as a blog owner, I consider it my responsibility to keep the comments safe for everyone, autistics and non-autistics alike. Parents and people with autism are all under so much pressure, and in the blog world, we oftentimes seek one another out in order to find a port in the storm. So I generally err on the side of caution, and I will delete or edit any comment that goes over the line from controversial to gratuitously offensive. It’s vitally important to make pleas for civility, as you’ve done so eloquently here, but I think we also have to follow it up with action. Keeping people from engaging in personal attacks by blocking such attacks sends a much stronger message than simply asking people not to make them. These are important insights. If you, Stuart Duncan, or anyone else who can see this is going to be coming to the TASH Conference in Atlanta at the end of November, I’d like to warmly invite you to an asynchronous Forum on the Politics of Autism there. We’re going to be gathering the views of as many diverse people as possible who count themselves as being in the Autism Community. Then we will begin the work of examining the discourse for contested areas in order to locate potential hitches, bridges and grounds for reconciliation, and report back in subsequent venues. Your input will be extremely valuable in this endeavor. Thanks and have a great day! I am an autistic adult, with Aspergers SYndrome & a plethora of other problems. I discovered that it very much helps my sensory procesing problem with uninvited sounds & voices post about them on Twitter, where I have a large support bae of friends & fellow Aspies.The friend that introduced me to Twitter became involved with a woman with a severely Autistic child. Suddenly my friend began giving me a very hard time about my sharing of the sensory triggers that would ordinarily cause me to Meltdown. “You are intolerant” he says to me> “I don’t want to have anything to do with a person as intolerant as you” he says. And from that I lost a friend and had togive up my martial art training because I cannot condone what he did to me. Why is it OK to be socially intolerant of my PHYSICAL intolerance? It seems that as soon as someone is confronted with having to raise an autistic child they find an autistic adult to take out their frustration on.It has happened to me twice so far. So many people don’t listen when we say it, or they don’t get it. But you GET IT. Attack The Autistic is practically a sport in so many parts of the internet-it’s been at least a decade at autism.about.com, we get kicked out of facebook and other groups on a regular basis for not saying what they wanna hear, etc. But SOMEONE GETS IT and that gives me a little bit of hope. To make this even that much sadder is the fact that the Autism Community isn’t alone in these struggles. The deaf community has in-bickering as well. Born deaf argues with those who became deaf who argues with parents who implant devices who argues…. You get the idea. We have the people who fight about the different reasons for autism, the different treatments, cure or no cure, high functioning vrs …. Why? Why can’t we all take what we need and leave the rest. Listen to each other because we may learn something useful. I tried writing about it, and I did write about it for a while. However, I quit writing about it because I was told that I need to go live in a mental institution since I have a difficult time functioning like other “normal” people do in the world and because I don’t understand people “the right way”. So I quit doing it. Even if I happen to mention something like “I’m having a difficult time functioning correctly around people today; it’s one of those days I’m better off just staying behind doors and not going out,” I’m still abnormal, and I’m going to be judged no matter what I do. I really have a lot of respect for people with Autism (though I’ve mostly found Aspies) who blog about it – like their daily struggles, their everyday life, their experiences, etc. Unfortunately, too much of the world pushes out people like us. I remember mentioning that I wouldn’t/won’t tell someone I have it unless I really trust them enough on a post of mine, and I was fired at, their reply being, “That’s ignorant. So if all of you go without telling people, then one day a non-autistic and and autistic person are going to marry, and then you’re going to have a whole country filled with you guys.” Too many people in this world push us out because they’re not educated on it and they don’t understand it. Words hurt a lot. It’s more unfair when people studying mental illnesses in college come onto my blog and tell me what I’m experiencing can’t feel the way I say it does because it’s not in the books. So I was done with it all. Even other autistics/aspies would attack me. It was then that I just grew completely sick with the world and decided that too many people just … don’t care. So maybe this is pointless, but that’s my story/experience. It was a nice read, though. I found you on Xanga’s Autisable. Before I retired, my career allowed contact and interaction with a diverse group of organizations and people. I observed the decrease of gracious and courteous social exchanges for over forty years. A research friend teaching on Stress sources and effects noted a study on the time it takes to accumulate a certain amount of measureable stress. This lesson was taught twenty years ago and at that time a person could feel the same amount of stress in twenty-four hours that would have taken one year, one hundred years ago. I have been blogging for over a year but not made my content public on the Internet because of the very thing your article is about. My opinion, from experience, is regardless of the topic, there are angry, damaged people looking for places to cry out and vent. I and others have occasionally replied to some attacker and questioned why they bothered to read a post they were so opposed too. We have three Autistic grandchildren and wonder, as did our parents, how they will adapt to the world they live in. Thanks.